Neami’s newest Step Up Step Down service in Albany WA was officially launched by Hon. Roger Cook MLA, WA Mental Health Minister and Glen James, Neami WA State Manager. Also in attendance at the launch was Hon. Alanna Clohesy, Parliamentary Secretary and Peter Watson, Member for Albany, amongst others. The 24-hour six bed Albany service will provide short-term residential support to people following discharge from hospital or for those who are seeking additional mental health support to avoid the need for possible hospitalisation. 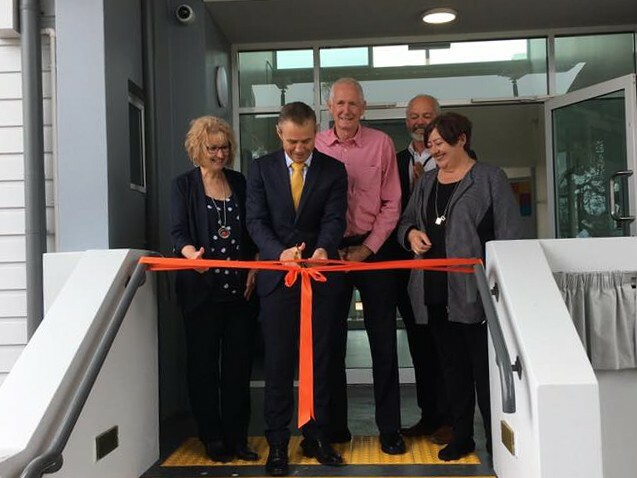 The Albany Step Up Step Down service extends Neami’s provision of this type of service in WA, with the successful 22-bed Joondalup Step Up Step Down service operating since March 2013 — at the time it was the first of its kind in WA. For more information about Benita Cattalini, Service Manager, Albany Step Up Step Down.